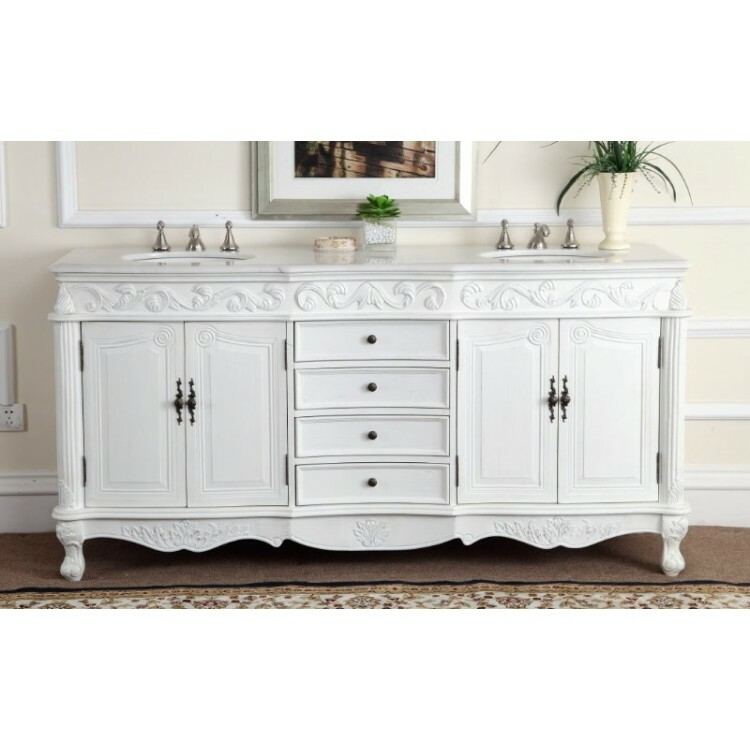 The amazing antique white finish Beckham double vanity will give your bathroom a striking upscale appearance. This piece is carefully handcrafted of sturdy wood. A smooth, hand painted multiple coating finish glorify the texture color, while enhancing the intricate carved acanthus leaf details. A beautiful one piece genuine hand-polished marble countertop completes the look for a sumptuous effect.